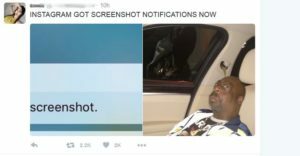 Over the last couple weeks, after an Instagram update, people have been freaking out about, in the belief that people will get notified when they screenshot their pic. I think we all have screenshotted a photo at least once, on Instagram, while others do it multiple times a day. 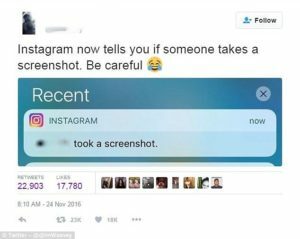 So, the fact that people started freaking out when hearing the news that Instagram had begun notifying users when you screenshot their photos is not unexpected. However, let me ensure you that it isn’t as bad as it sounds like. Instagram does notify a user when you screenshot their photo – but only on “disappearing Direct Messages“. Not when you screenshot regular photos that have been uploaded to the platform, or photos/videos on Instagram Stories. The reason that the news blew up was that people were afraid that it also included screenshotting a photo in a photo gallery, however that is not the case. You can be calm. And the good thing is that anyone you’re sending private disappearing Direct Message with probably is your friend, so they finding out that you are screenshotting their photos might not be a too big of a deal. Apart from the notification on the phone, they will also be able to see if you have screenshotted their image inside your chat. The amount of people who got upset about the new Instagram update (where people believed that screenshotting content in people’s photo library would result in a notification) tells us that a lot of people don’t want their screenshots to become public. And hopefully, Instagram will listen to that. Were you also freaked out when you heard about the news? Let us know about it below!